Today we remember 9/11/2001. It is the 9/11 17th anniversary. Not only do we need to remember this difficult day in American history, but we need to reflect upon it. More importantly, what it meant for first responders to do their job that day. What it took for New Yorkers to collect themselves and do what needed to get done that day. What it meant for those who couldn’t escape, and what it meant for the family and friends of those who didn’t make it. And, what it took for Americans across the country following 9/11 to look in the mirror, set aside our grievances, and come together as citizens of one constitution. Here are 10 powerful quotes that help us remember and reflect on the 9/11 17th anniversary of that dark day, and the importance for all Americans to stand together. “It’s the nature of the world that most people have moved on, but the people directly involved with 9/11, for them, twice a day it’s 9/11.” – Robert Reeg, former FDNY firefighter. “My father was the best person I have ever known and though he was taken from me on that day, nothing and no one will ever be able to take away the eight years and two days of my life that I shared with him. After my father died, and after I lost so much, I promised myself that I would never lose who I am as a person – the person that my father brought me up to be. … If you owe someone an apology, tell them you are sorry today. If someone asks for your forgiveness, forgive them. Start being the person you always wanted to be today and don’t waste your time worrying about tomorrow.” – Mary Kate McErlean, whose father was killed on 9/11 when she was 8 years old. Today, the 9/11 17th anniversary (and every year for that matter) is an important day of reflection for Homes for Heroes employees and our affiliate specialists. It was the heroic acts of American heroes in New York this day in 2001, seventeen years ago, that provided the motivation to eventually create Homes for Heroes as a way to give back to those who serve and sacrifice for our nation and its communities every day. 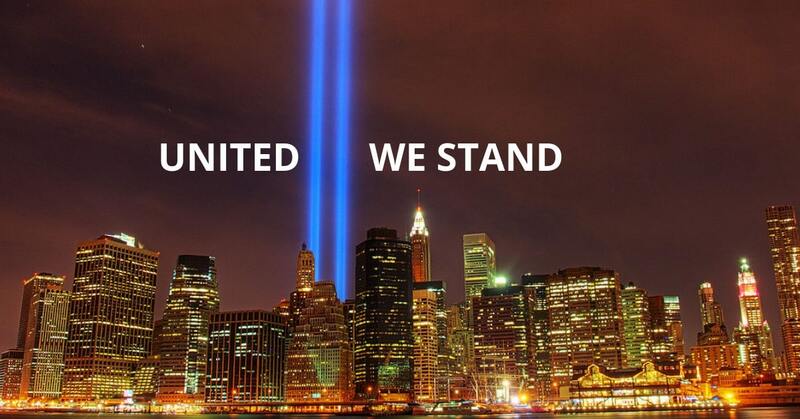 We stand united and we will never forget.